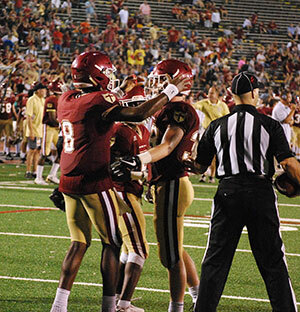 The Brother Martin Fund includes these annual appeals: Alumni, Parents and Grandparents. Funds from these annual appeals are used to help keep the amount of tuition increases down, as well as for the needs of our students, including the cost of upgrades to our current facilities, academic programs, technology infrastructure and classroom equipment and materials. All of which help enhance the experience of our young men. Your contribution to our annual Parent Giving is used to assist with the school’s operating budget primarily in three ways: to help facilitate reasonable tuition for all families; to attract and retain quality faculty; and to provide the best learning environment possible by initiating advancements in technology, maintaining a low student-teacher ratio, or by continuing to provide a clean and orderly environment. As it was with our humble beginnings in The French Quarter in 1869, our vision of holistic education sustains us as we prepare young men for life. 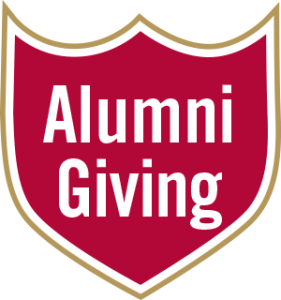 Alumni Giving provides you the opportunity to ensure that the mission of the Brothers and their lay partners continues. 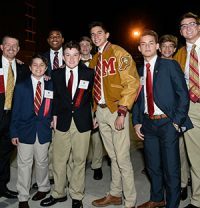 Alumni commitments help to enhance the tradition of academic excellence, spiritual enrichment, extracurricular achievement and faculty distinction at Brother Martin. 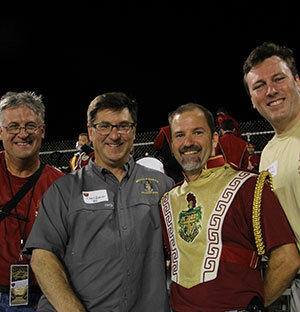 An alumni appeal gift is a vote of confidence for Brother Martin High School, our faculty, staff and all those who support our school. The active support of our parents, alumni, friends, and yes, grandparents, is essential for us to continue to be that special school for this new generation of young men. We welcome you as part of our extended family and we invite you to consider helping us in whatever way your time and talents allow. Your presence on campus would convey a message of tradition to our students – a message of respect for knowledge, honor, and family values. 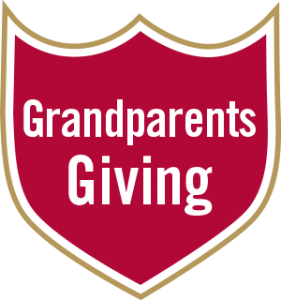 Therefore, we appeal to you, our grandparents, to consider volunteering your time and talent here at school. For more information on volunteer opportunities, please call our Advancement Office at (504) 284-6700. Another way you might consider helping is by a gift to the school. 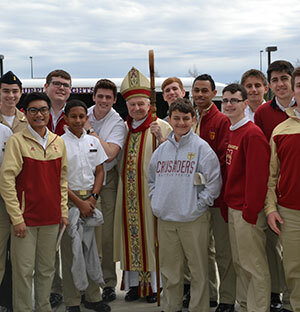 Your support of Brother Martin helps us to meet the challenges of providing your grandson not only first-rate technology, but also the best education and facilities available. Fidelity through Change: The St. Aloysius Century Foundation Capital Campaign to Benefit Brother Martin High School. Brother Martin High School is currently engaged in a long-range plan for buildings and programs to support capital and endowment needs. Phase I resulted in the Thomas F. & Elaine P. Ridgley Fine Arts and Athletic Center which was dedicated in 1999. 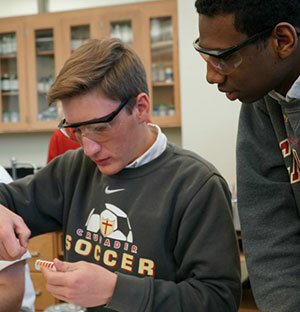 The Ridgley Center includes an art room, the St. Aloysius Class of 1944 Gymnasium, athletic facilities, band and choral rooms, classrooms and the Brother Mark Thornton Terrace, a large multi-purpose room. Phase II included renovations to E.A. Farley Field and the completion of the Roland H. and Macy Paton Meyer Science and Mathematics Building and the James B. Branton Chapel. Phase III comprises a complete renovation of food services, the Tom and Gayle Benson Mall, relocation of the current library to the 2nd floor, formation center relocation on the 2nd floor, and renovation of the Conlin entrance and lobby. 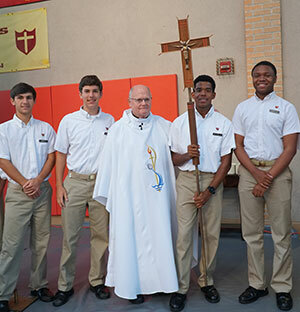 The mission of the St. Aloysius Century Foundation is to provide financial support to help perpetuate the educational charism of the Brothers of the Sacred Heart at Brother Martin High School. This charism is expressed within the Brothers’ own Rule of Life and their Educational Mission and Ministry document. Endowments are established in the St. Aloysius Century Foundation and named, by agreement of the St. Aloysius Century Foundation and the donor, in honor of someone suggested by the donor. This may be a Brother of the Sacred, a graduate of St. Aloysius, Cor Jesu or Brother Martin, a friend of Brother Martin or family member or friend of the donor. For all memorials, an acknowledgement will be sent to whomever you wish. This memorial will state there has been a memorial in honor of someone and that they are in the thoughts and prayers of the Brothers of the Sacred Heart and the entire Brother Martin community. Contact the Advancement Office at 504-284-6700 for more information. 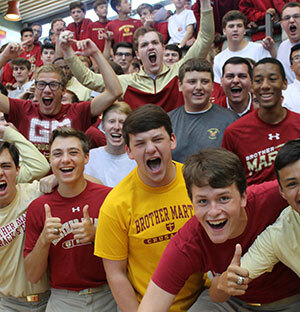 Membership in the Society of 1869 is offered to all those who endorse Brother Martin High School’s mission, and who, like those Brothers in 1869 and those who followed, affirm that commitment by means of a planned gift. 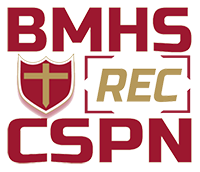 To become eligible for Society membership, an individual simply informs the school in writing that Brother Martin High School has been included in his or her estate plans. Upon receipt of such documentation, participants are enrolled in the Society of 1869.